EBOLA | What Did You Say? Lewiston Idaho veterinarian’s Letter to the Editor re: Ebola, Nails it! 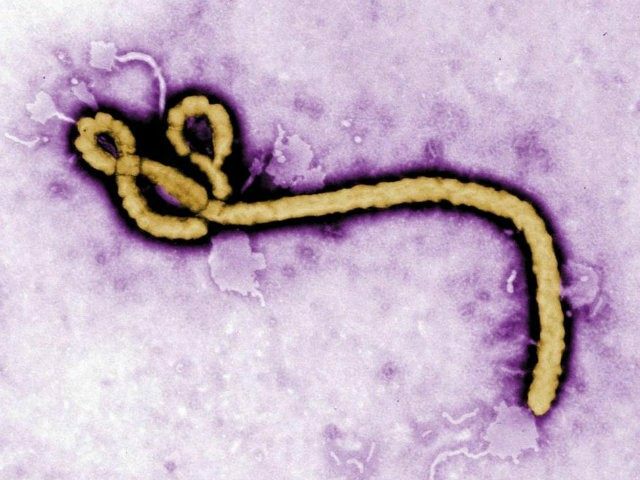 Multiple Iraqi and Kurdish media sources have claimed that some Islamic State (ISIS) militants in Mosul, Iraq, have contracted the deadly Ebola virus, Mashable reports. The Iraqi outlets reportedly claimed that Ebola had started to spread in a Mosul hospital. The city, known as ISIS’s most important strategic stronghold in Iraq, has been under the control of the Islamic State since June. Christy Feig, the World Health Organization (WHO) director of communications, told Mashable, “We have no official notification from the Iraqi government that it is Ebola.” She said that WHO had reached out to authorities and asked if they needed help investigating the matter. Kurdish media network Xendan reported that ISIS jihadists’ symptoms were similar to those shown by someone who has contracted Ebola. However, it is highly uncertain whether Mosul health authorities have the means, tools, or skill-set necessary to test for Ebola, given the current hostile environment in the area. Iraq’s pro-government Al Sabaah (The Morning) daily newspaper reported that Ebola made its way into Mosul through Africa-based Islamist “terrorists” who then linked up with ISIS. Mashable notes, however, that the majority of ISIS recruits in Africa have come from countries that have not reported any Ebola cases, such as Tunisia, Egypt, Morocco, Libya, and others. Meanwhile, Mosul’s liberation remains a strategic priority for Iraqi forces and the U.S.-led coalition. Mosul has been described as ISIS’s de facto capital in Iraq. While under ISIS control, many of the city’s one million residents have lived under fear of severe punishment or execution should they not comply with the jihadists’ mandates. Political campaigns are famous for trotting out an “October Surprise” on their opponents. In 2000, Al Gore accused George Bush of getting a DWI 30 years prior. Apparently a lot of “values voters” decided they couldn’t vote for anybody who’d had a drink too many 30 years prior and it cost Bush a hefty number of popular votes. Every election has rumbles of a “surprise” and this year is no different. Well, there is one difference this year and we’ll point that out in just a moment. Barack Obama is about as popular on the campaign trail for Democrats as Ebola. Maybe less popular, you can apparently survive Ebola and a Democratic campaign probably won’t survive a visit from the Royal Narcissist. That’s why you see all of the Democratic Senators up for election this year even refusing to say that they voted for the President in either of the last two Presidential elections. The President even went so far as to say that they should do anything they have to in order to get elected and it won’t hurt his feelings. Then came this little gem. “These are folks who are strong allies and supporters of ME…” Heh. Mr. Obama just put himself on the ballot. Thanks Barack. Now then, let’s talk about the “won’t hurt my feelings” meme. Here’s what Josh Earnest had to say, speaking for the President, about the upcoming elections. Here come the bus, here come the bus, order on the sidewalk, get under that bus! For you youngsters reading this, that is a paraphrase of a sketch from Laugh In, back in the age of enlightenment. To sum up the position of “the judge” – and that would be one Barack H. Obama – you’re on your own suckers! The difference between this year’s “October Surprise” and every other year’s “October Surprise” is that this year Barack pulled the surprise on his own party. Shocking video footage shows two NYPD officers dumping their protective gear in a public trash can after leaving the area near the apartment of Ebola victim Dr. Craig Spencer. The clip shows the officers placing their gloves, face masks and caution tape in the trash and then walking away from the scene outside the Harlem apartment of Dr. Spencer, who last night became the fourth confirmed Ebola victim in the United States. It is not known whether the two officers actually entered Spencer’s apartment, although putting the items in a biohazard bag out of an abundance of caution would make sense. Placing them in a public trash can on a busy sidewalk in a major city is ludicrous. The incident serves as a reminder that unprotected workers used a pressure washer to clean up the vomit of Ebola patient zero Thomas Eric Duncan outside an apartment complex in Dallas where Duncan was sick all over the sidewalk according to eyewitnesses. Concerns about other individuals potentially being exposed to Ebola are paramount after it was revealed that Dr. Spencer violated his voluntary quarantine to go bowling on Wednesday night the day before he was admitted to hospital. Spencer, who returned after treating Ebola patients in Guinea, also took an Uber cab to and from the location, potentially exposing the driver and other passengers. The doctor also used the subway as well as going for a jog. Spencer’s fiancée, Morgan Dixon, is under quarantine at Bellevue Hospital, while his two other friends are quarantined at home. As we reported yesterday, several doctors have told Infowars that health authorities are covering up potential Ebola cases in the United States in an attempt to prevent hysteria.